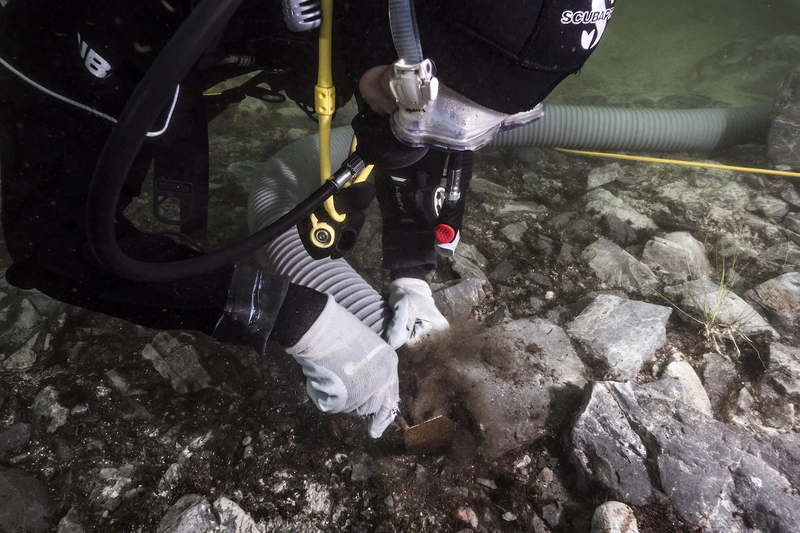 A team of archaeologists diving at the Island of the Sun in Lake Titicaca, Bolivia, have discovered religious offerings that predate the Inca occupation of the area by five centuries. The Inca considered the Island of the Sun an important religious center, building ceremonial structures and leaving offerings on and around it, so before now researchers thought they were the first people to worship there. This is the first systematic excavation of the site and the findings upend that theory. It was the Tiwanaku people, who inhabited the Lake Titicaca area between 500 and 1100 A.D. who first made offerings to the gods there. 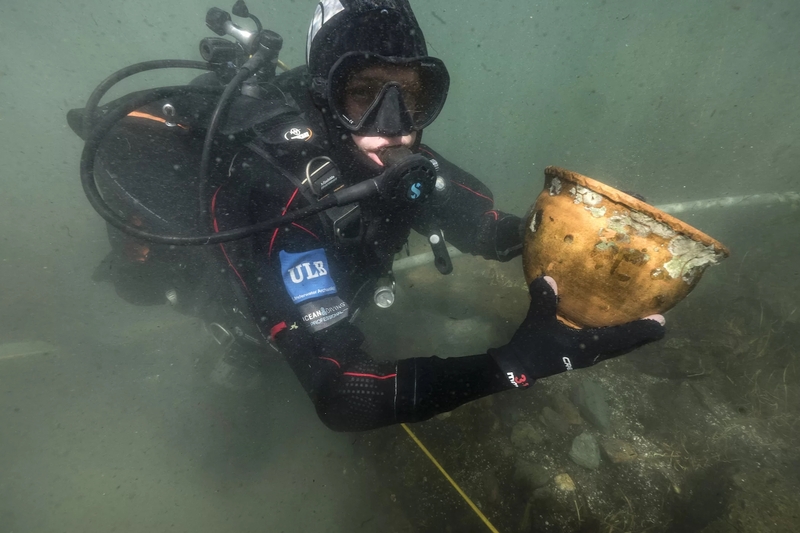 Divers have been finding artifacts in Lake Titicaca, especially an area known as Khoa Reef since the late 1970s. Many of them were of Inca origin, but some were Tiwanaku objects. These were random discoveries, however, objects picked up here and there by diving enthusiasts. Without a proper archaeological excavation, there was no way to make well-grounded determinations on the ritual uses of the lake. The research team excavated the Khoa Reef area thoroughly. They scanned and mapped the reef with sonar and 3D photogrammetry and dredged the sediment to recover all archaeological materials they could find. 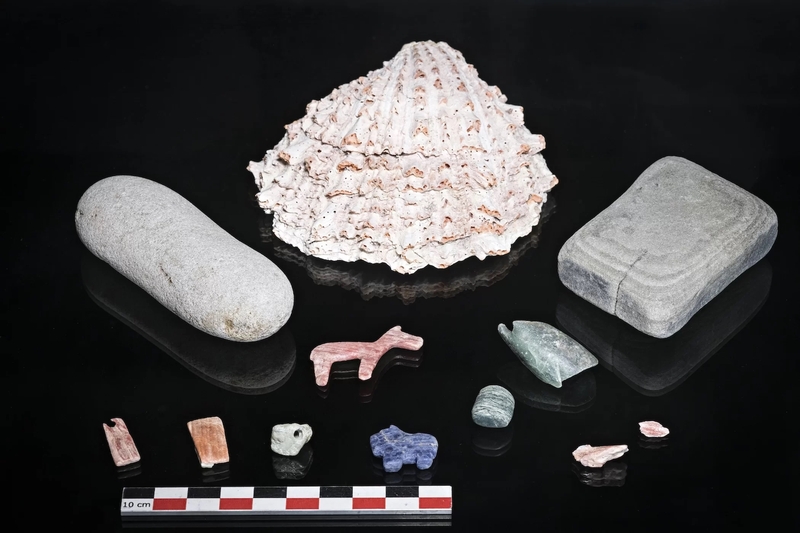 Ritual offerings retrieved from the reef include semi-precious stone ornaments like a lapis-lazuli puma figurine and a turquoise pendant, Spondylus shell that had to have been imported perhaps from as far away as Ecuador, a gold medallion engraved with the Tiwanaku ray-faced deity, carved stones, ceramic incense burners shaped like pumas and the remains of sacrificed juvenile llamas. “The findings, and especially the ceramic puma-shaped incense burners, are significant because they help us gain a broader understanding of the ritual behavior and religion of the Tiwanaku state — a society that preceded the Incas by several hundred years,” said [excavation team leader Christophe] Delaere. 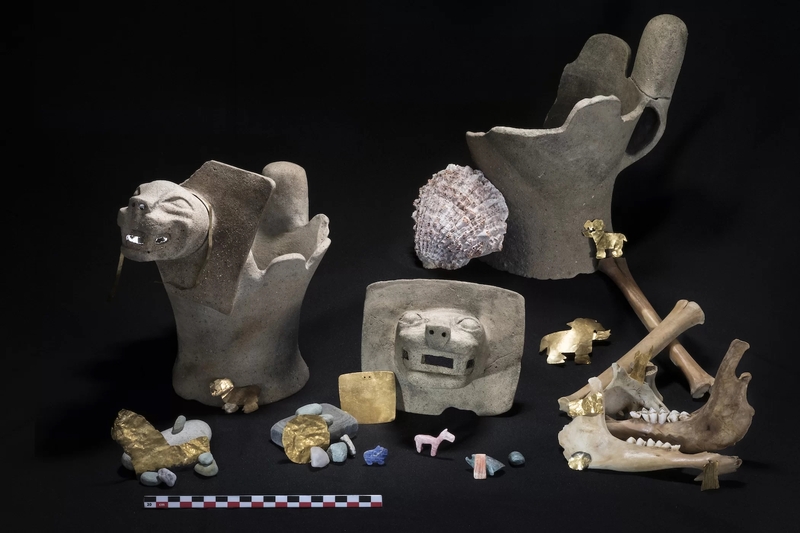 “The presence of anchors near the offerings suggests that officiating authorities may have deposited the offerings during rituals held from boats,” said [Penn State assistant professor of anthropology José] Capriles. They also went as close to the center of the lake in the center of the Andes they could. They used a small rock outcropping (now underwater) that poked up in the middle Lake Titicaca to leave offerings. It was the most holy spot they could access, the center of the center. Even today the local Aymara people believe the lake is spiritually resonant. They still make offerings to it, in fact, and were involved in aiding the researchers in their exploration of the reef.